GBP lost its power due to the Mark Carney speech regarding the Bank rates. GBPUSD has been moving horizontally after the Brexit impact on the pair. 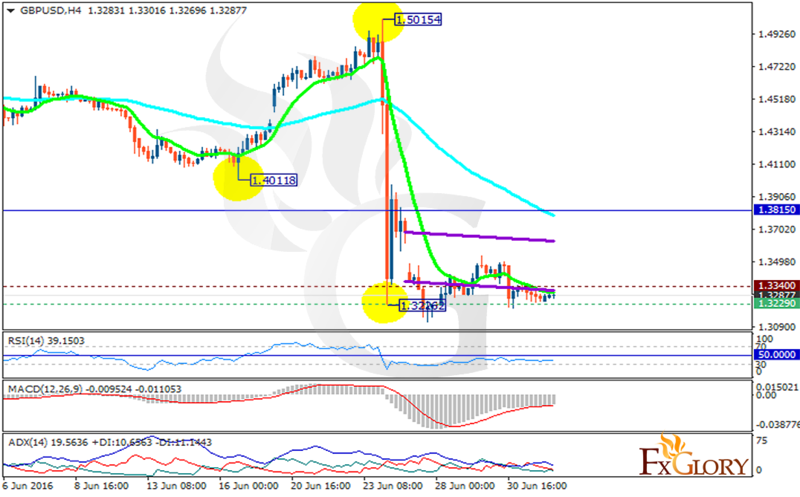 The Support rests at 1.32290 with resistance at 1.33400 which both lines are below the monthly pivot point at 1.38150. The EMA of 10 still falling down and is moving below the EMA of 75. The RSI is still below the 50 level, the MACD indicator is in negative territory and the ADX is showing stronger buyers than sellers. It does not seem if the pair is willing to move in higher or lower ranges than the support and resistance zone however the resistance level breakout will push the pair upward targeting 1.3700.